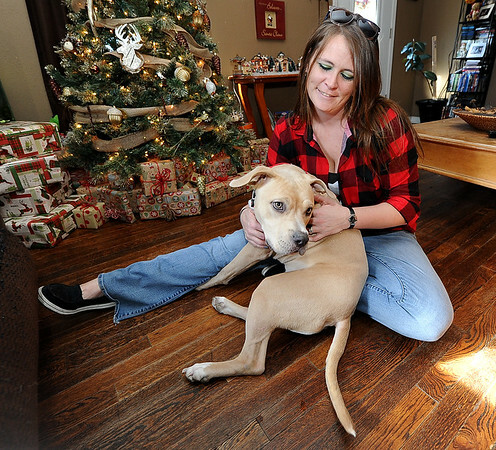 Lindsey Hoke sits in front of the family Christmas tree with her dog, "Ruqa" this week in their Joplin home. . "Ruqa" is one of the rescue dogs of the original Joplin nine.